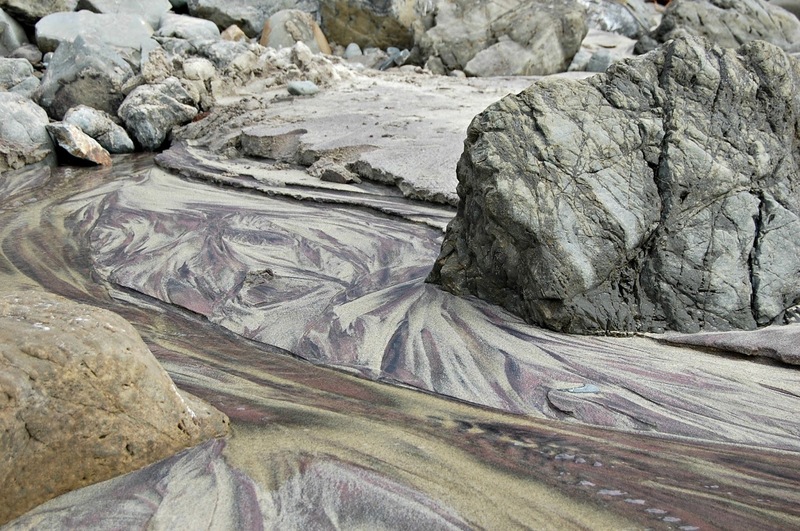 On our quest for travel gems, we often forget about the priceless nuggets in our own backyard! We had a few days off and we began thinking about places to go to for a relaxed vacation. Florida? Hawaii, once again? Both these are undoubtedly tourist meccas but we were looking for something quieter, relaxing and closer home. 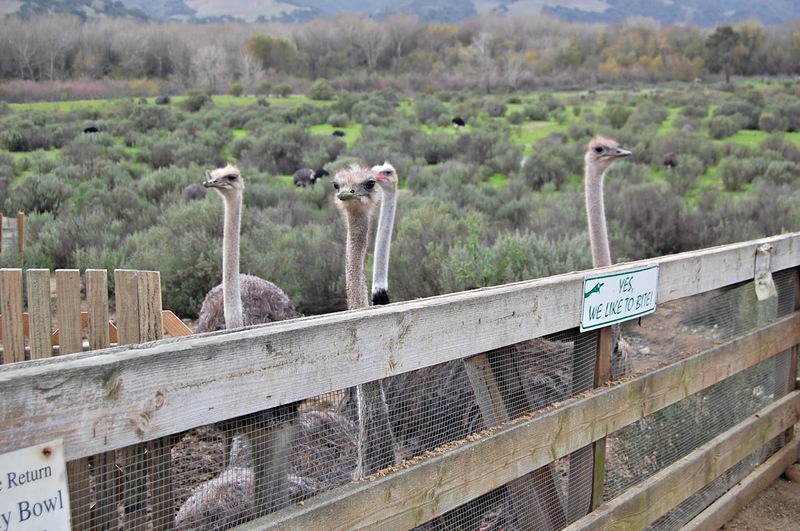 Highway 1 in California is this extremely scenic drive lined with quaint little sea towns. We decided to explore those. First stop was an artsy little town called Carmel. 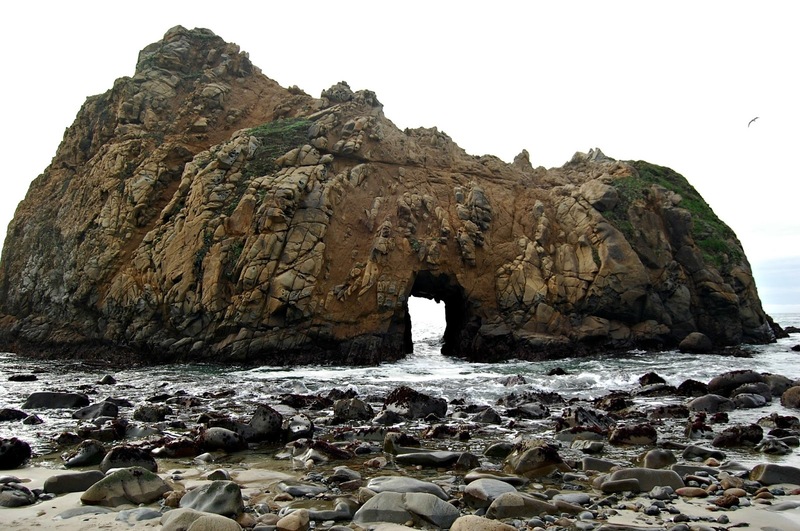 Also called Carmel-by-the-sea, it is located on the Pacific coast, full of natural scenery and art. A walk through it’s downtown makes you want to appreciate all the finer things in life. Every street has a beautiful art gallery. 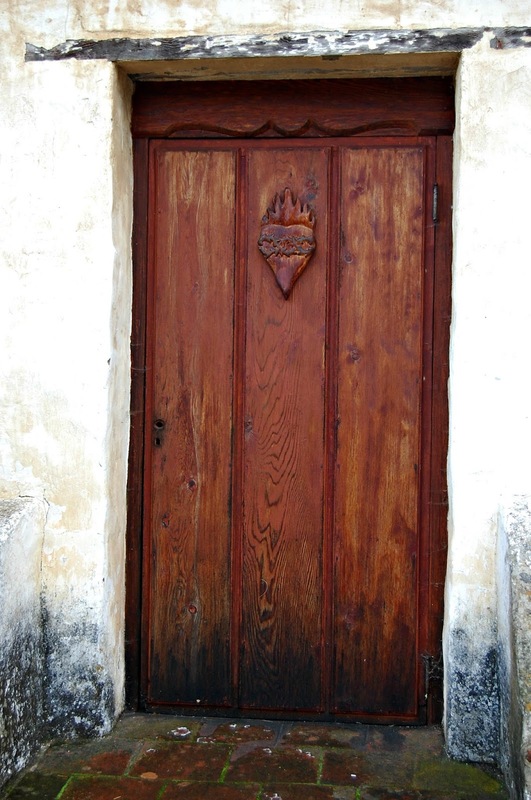 It is said that 60 percent of Carmel’s houses were built by citizens who were “devoting their lives to work connected to the aesthetic arts”. So yeah, the houses are also worth looking at. We stayed at a cozy little B&B (Bed and Breakfast) called the ‘Cobblestone Inn’. 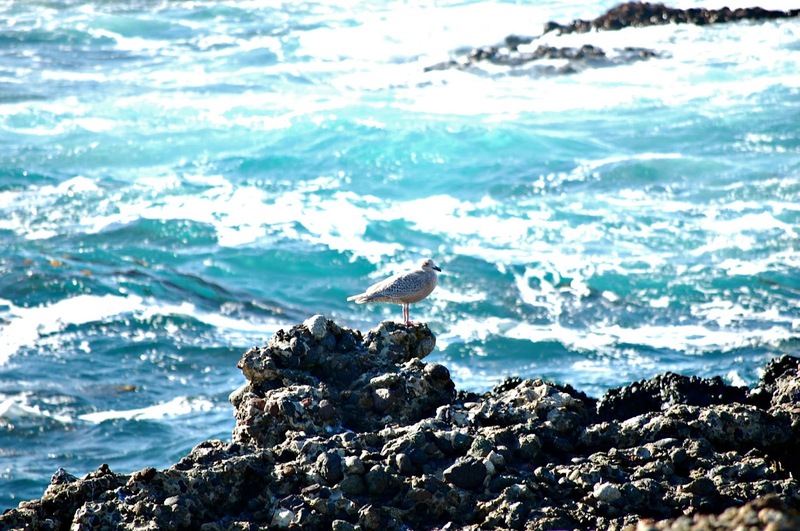 But before we reached Carmel, we stopped to hike at Point Lobos. In the 1800s, this place was home to Japanese and Chinese fishermen. The many hiking trails are all by the ocean and all I can say is it’s absolutely gorgeous. A picture is worth a thousand words so I’ll let you see for yourself! 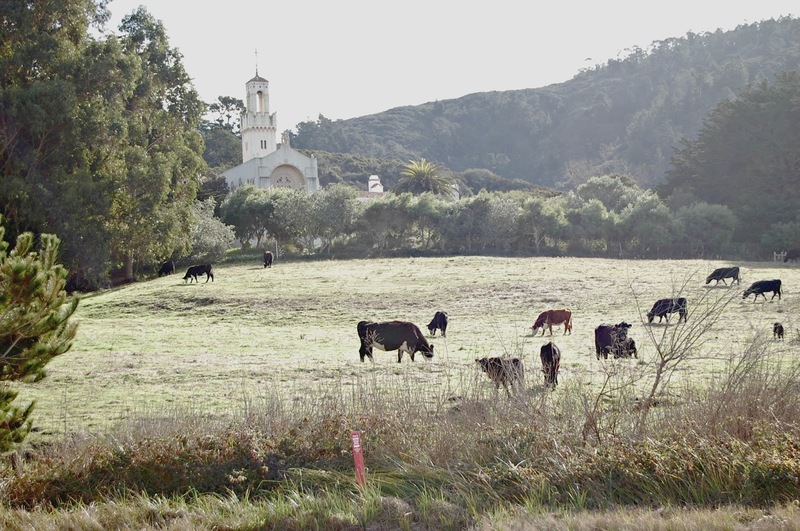 After the hike, we feasted on our homemade carrot and coconut cupcakes (made by yours truly) and set off towards Carmel. 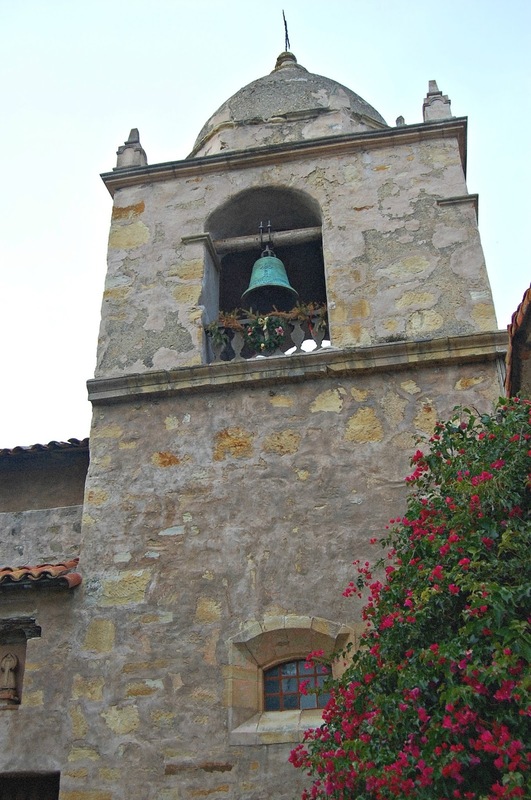 We stopped at the Carmel Mission, which we had heard, was a must-see. And, it did not disappoint us. 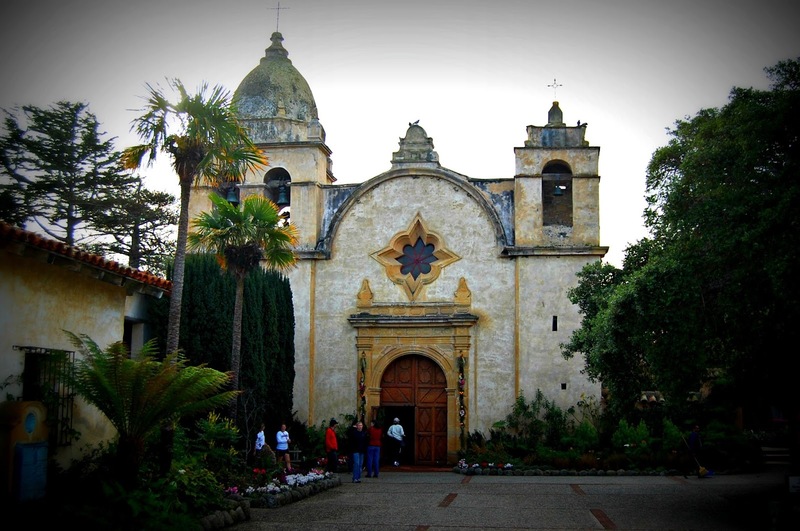 Mission San Carlos Borromeo del rio Carmelo (I like the sound of these Spanish names), or simply Carmel Mission is a Roman Catholic mission church established in 1770. Walking through the mission is like walking through nearly 200 years of history. It still has the original bell tower dome. It’s classic fortress like architecture with thick, bougainvillea-covered adobe walls, and a central courtyard are worth looking at, especially if you like buildings steeped in history, like I do. 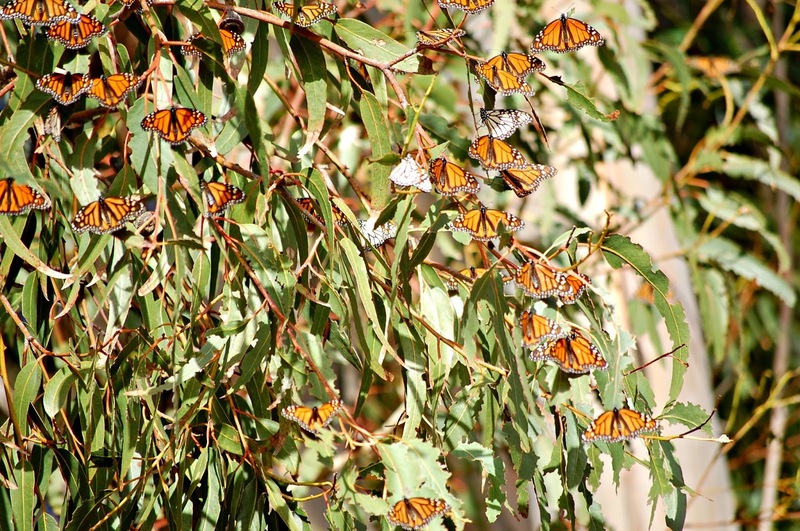 Day 3 – Further south, The monarch butterfly grove near Pismo beach. 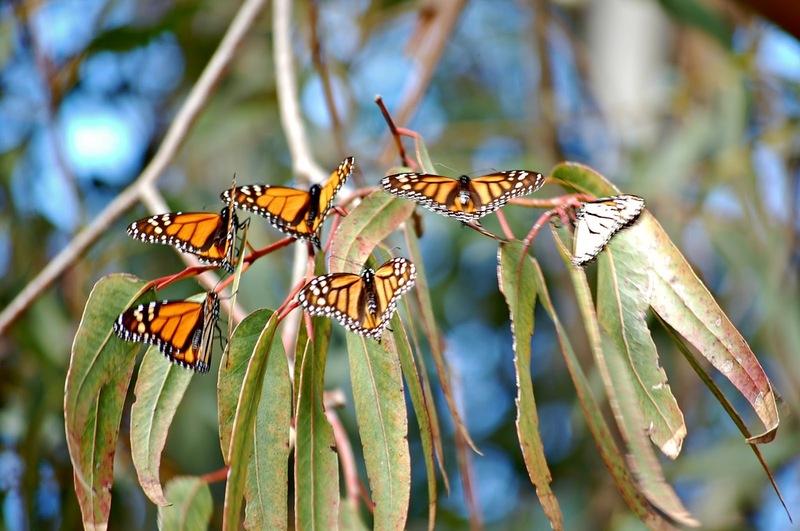 Imagine a grove full of tall and fragrant eucalyptus trees and hanging from their branches, thousands of vibrant orange and black monarch butterflies. Amazing, isn’t it? Every year these pretty butterflies migrate to California to escape the freezing Northern winters and they are a sight to see. 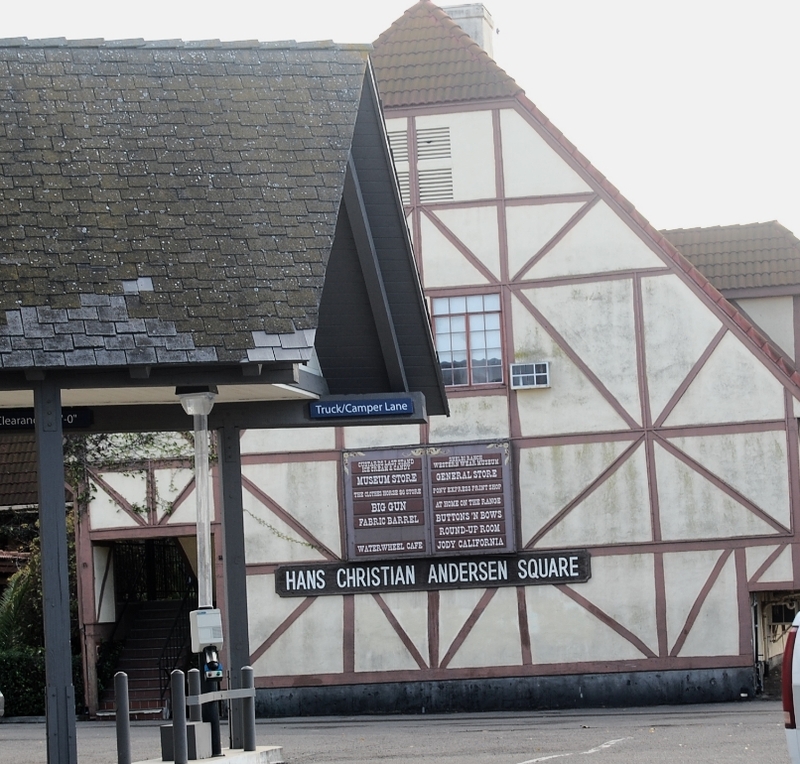 Next stop – Solvang – the Danish capital of America. I was really looking forward to Solvang..why u ask? for all the delicious Danish pastries ofcourse! Mortensen’s Bakery was the first stop where we bought a bucket full of Danish cookies to take home. The baker threw in a loaf of crusty bread for free! Yay! That’s not the only reason I love this place. I mean what’s not to love here? Beautiful Danish architecture, windmills, a park called Hans Christian Andersen Park, and real Danish smorgasbord restaurants! 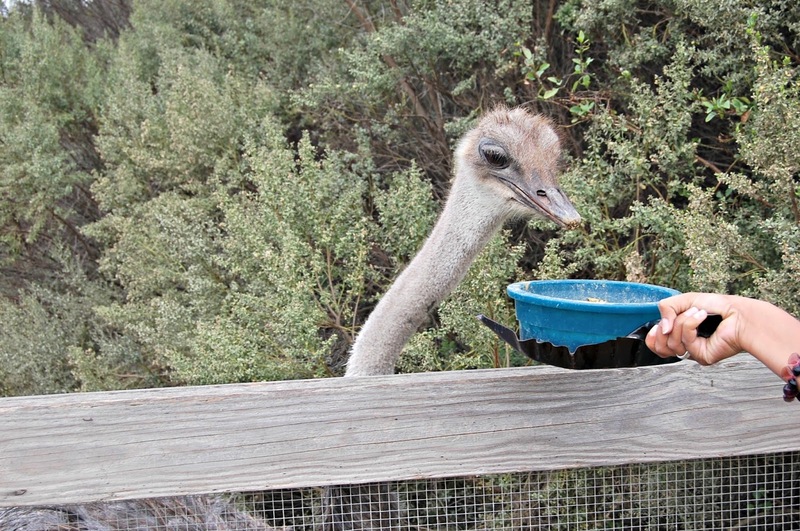 The next morning, we drove down to our last stop – Santa Barbara. The first thing we noticed about it was the crazy traffic. Guess that’s what happens when you’re nearing LA! Santa Barbara is like any other bustling city, except for its lovely beaches, its pristine white buildings and its interesting culture. It looks a lot like the French Riviera so no prizes for guessing what Santa Barbara is called – The American Riviera, of course! We had lunch at a charming little bistro before heading back home. I love getaways like these and best part is, these places are so close to where we live, we could go there anytime we want! That was indeed a lovely virtual tour for us!!! Thank you! 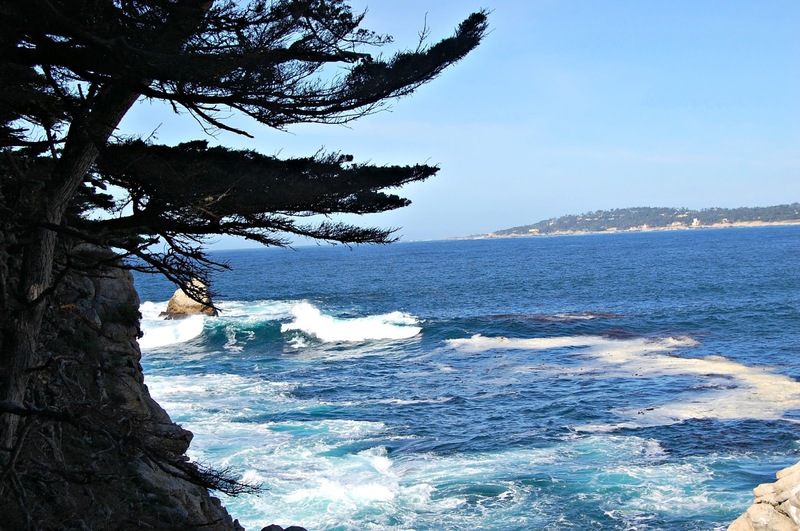 Carmel by the Sea and Santa Barbara are the most Scenic Spots of California Beaches… I still remember our visits to these Places a few times.. Thanks for sharing a wonderful Post! Thank you so much, Mr. Sreedhar! 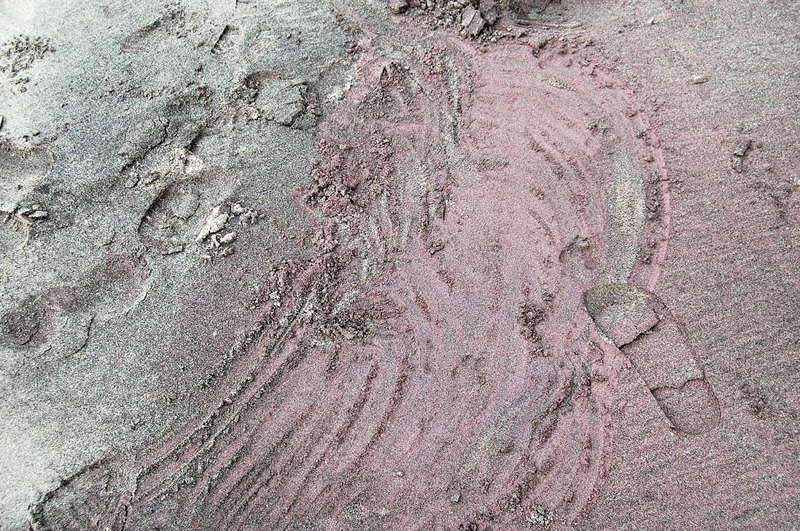 I have heard so many songs on California… but the photos you have shared is my first view on the pieces of that place. That indeed looks like raspberry swirl cheesecake 😉 I love food too haha. Really good post Hema. Thanks for sharing the info. Thank you so much, dear Tara! Nice write up and photos.